Dr. Hanks’s scholarly interests include child sexual abuse, forensic interviewing, vicarious trauma, mental health accessibility, and professional development within the counseling and counselor education fields. She is a member of ACA and ACES. Dr. Hanks values the development of a strong professional identity and is an advocate for the counseling profession. Clinically, Dr. Hanks has been working with children who have been sexually abused and their families since 2005 as a counselor and forensic interviewer. Dr. Hanks has worked in the field of substance abuse counseling with adolescent and adult clients as well. 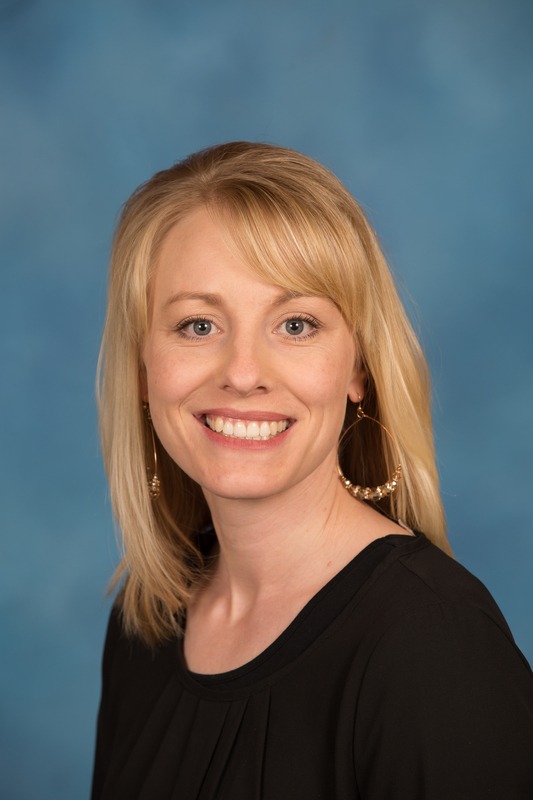 Dr. Hanks is a counseling supervisor of both master level and post master level counselors and enjoys being part of the growth process of both her clients and supervisees. Flamez, B., Hicks, J., Portrie Bethke, T. L., Bastian Hanks, B. (2018). Couple and Family Therapy Research: Evaluating Therapy and Practice Implications..
Portrie Bethke, T. L., Bastian Hanks, B., Hill, N. R., Wagner, H., Alexander-Albritton, C. (2017). Systemic Ecology in Understanding Somatic Symptoms Related Disorders. Portrie Bethke, T. L., Bastian Hanks, B., , . (2017). Jessica. Bastian Hanks, B., Portrie Bethke, T. L., , . (2017). Rhonda. Hill, N. R., Portrie Bethke, T. L., Bastian Hanks, B., Wagner, H. H. (2016). Obsessive-Compulsive and Other Related Disorders. Hill, N. R., Bastian Hanks, B., Wagner, H. H., Portrie Bethke, T. L. (2016). Early Childhood: Physical and Cognitive Development. Bastian Hanks, B., Hill, N. R. (2015). Relational Dynamics Within the Context of Deafness: A Case Study of the Supervision Triad. Journal of Counseling & Development. Bastian Hanks, B., Hill, N. R., Alexander-Albritton, C., , . (2009). The role of a sign language interpreter: Unique dynamics in teaching and supervision..
Alexander-Albritton, C., Hill, N. R., Bastian Hanks, B. (2009). Women counselor educators: Level of job satisfaction while raising children. .
Bastian Hanks, B., Alexander-Albritton, C. (2018). Ten key strategies to successfully teaching on-line. . Rocky Mountain Association for Counselor Education and Supervision . Alexander-Albritton, C., Bastian Hanks, B. (2018). Counselor educator wellness: A pedagogical imperative.. Rocky Mountain Association for Counselor Education and Supervision . Portrie Bethke, T. L., Bastian Hanks, B. (2017). What now? How to address a child’s disclosure of sexual abuse. . Omega Zeta Chi Chapter . Parmanand, S. P., Hanks, B. B., Alexander-Albritton, C. (2016). Integrating self-care into curriculum and supervision: Practicing what we preach. Parmanand, S. P., Hanks, B. B., Alexander-Albritton, C. (2016). Providing support and centeredness: The new frontier of online counselor education. Bastian Hanks, B., Portrie Bethke, T. L., Alexander-Albritton, C. (2015). Crisis, trauma, and response: Managing student reactions to course materials. . Association for Counselor Education and Supervision..
Bastian Hanks, B. (2015). Online teaching in a brick and mortar culture.. Syracuse University. Halbur, D. A., Alexander-Albriton, C., Nikels, H. J., Hanks, B. B., Portrie Bethke, T. L. (2015). Developing a counseling clinic in a department of counselor education. Association of Counselor Educators and Supervisors. Parmanand, S. P., Hanks, B. B. (2014). Meeting the needs of students in an online world. Parmanand, S. P., Hanks, B. B. (2014). Compassionate mentoring: Applying lessons learned as a supervisee to trauma-focused supervision. Bastian Hanks, B., Zahm, C. (2014). Sexual abuse treatment 101. Bright Tomorrows Child Advocacy Center.